Looking for Westinghouse products? Get a quote fast. Founded by George Westinghouse in 1886, Westinghouse Electrical Company was a pioneer in AC power and created the first ever functioning molded case circuit breaker. 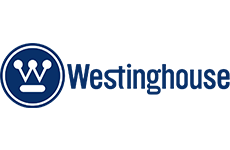 A company that was synonymous with innovation, the electrical distribution branch of Westinghouse was acquired by Eaton in 1994. The coming together of two heritage brands has resulted in smart, efficient energy solutions that help people and businesses succeed. Under the Eaton brand, circuit breakers, contactors, MCC buckets and MCC’s, motor starters, relays, switches, switchboards and switchgear all carry the Westinghouse name. Bay Power also carries a wide variety of reconditioned and obsolete Westinghouse products. Further, all Eaton products fully support all Westinghouse components. Westinghouse circuit breakers are available in a number of configurations for a number of applications that require circuit protection. Current ratings for Westinghouse circuit breakers range anywhere from 10A to 3000A for use in residential, commercial and industrial applications. While no longer produced, Westinghouse contactors can be reconditioned like new. If you’re nostalgic about your original Westinghouse contactor, you can count on us to provide you with a perfectly functioning reconditioned Westinghouse contactor. After acquiring Westinghouse, Eaton utilized the original Westinghouse MCC bucket designs moving forward. New Eaton MCC buckets are produced to this day, and while original Westinghouse MCC buckets are not, we still carry a wide variety of overstock and reconditioned products. The design of many Eaton motor control centers are based on the original Westinghouse motor control centers. So when you get a reconditioned Westinghouse motor control center, you’ll get the heritage, the quality, and the performance that comes along with it. Our reconditioned Westinghouse motor starters will function as perfectly as they day they were built. Choose from the A200 series among others to keep your motor running smoothly. No matter your application, whether you need type A or type B, Bay Power’s got all the refurbished Westinghouse overload relays you could need. Westinghouse switchboards were some of the industry’s most popular, and since being acquired by Eaton that hasn’t changed. Choose from reconditioned Pow-R-Gear switchboards, WF/WRP switchboards, and more. While new Westinghouse switches and disconnects have not been produced for years, reconditioned Westinghouse switches function as perfectly as the day they were built. While Eaton kept the fundamental design of many of Westinghouse switchgear products, new Westinghouse switchgear is no longer manufactured. However, you can still take advantage of top quality reconditioned Westinghouse switchgear. Have any old or unused Westinghouse products lying around? Don’t get rid of them just yet. While we stock a wide range of quality electrical products and solutions, both new and reconditioned, we also buy back your unwanted equipment. So, before deciding what to do with your old Westinghouse products and components, have one of our expert technicians take a look to see if we can save a few parts, save the environment, and save you some cash. Great service shouldn’t end after the purchase. We pride ourselves on the relationships we build with our customer-first mentality and the quality of our Westinghouse products and components. That’s why we offer a 1-year replacement warranty on all of our electrical products and solutions from the top manufacturers. Because when you buy with Bay Power, you buy with confidence. We are proud to stock a variety of competitively priced, new and reconditioned components from the leading manufacturers of Westinghouse products. Thanks to our extensive inventory of Westinghouse products and components, our resourceful and expertly trained staff will always be able to get the products that you need. Through our extensive network of suppliers, we are able to carry and acquire a huge variety of electrical products and solutions, so chances are if you need it, we can get it. Bay Power’s priority is providing you with reliable, high quality electrical hardware. That’s why our mission is to make sure our reconditioned electrical products and solutions function as perfectly as the day they were built. Because while the quality is high, the cost of Westinghouse products shouldn’t be. Our selection of new surplus Westinghouse products may not arrive brand new in a box, but they function just as well, and have never had electricity run through them. All of the quality, none of the packaging, always with our 1-year replacement warranty.